This times its going down between two of our fashion faves, Cassie and Jada Pinkett Smith. 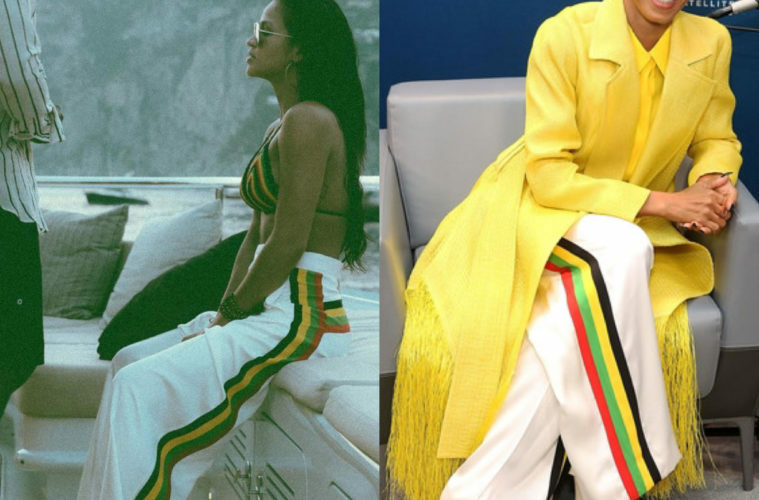 Both ladies were recently spotted rockingthe same Céline Pre-Fall 2017 wide leg pants with rasta stripes. 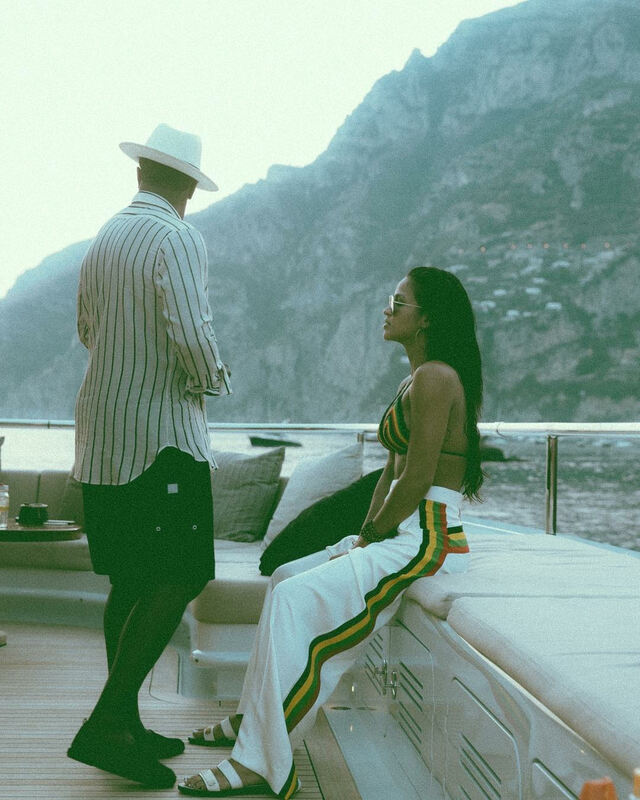 Cassie wore hers on an Italian baecation with Diddy and rocked it with a rasta crochet bikini top and Lanvin sandals. Jada paired hers with a yellow Maison Rabih Kayrouz Spring 2017 fringe coat during a visit to the Sirius XM studios in NYC. Im not feeling these pants!I do LOVE the way Cassie styled hers…. But I have to ask, which look is your fave?! Posted in Fashion, Uncategorized. Tagged Cassie, Céline Pre-Fall 2017, Céline Pre-Fall 2017 wide leg pants, Céline Pre-Fall 2017 wide leg pants with rasta stripes., Diddy, eccentric glow, Jada Pinkett Smith, Las Vegas Blogger, Maison Rabih Kayrouz, Maison Rabih Kayrouz Spring 2017, Maison Rabih Kayrouz Spring 2017 fringe coat, NYC, Sirius XM studios, Which LOOK Is Your FAVE?